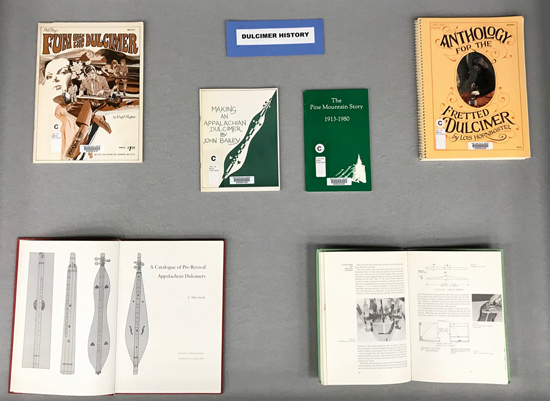 This month's exhibit features items from the Jean Ritchie collection in the New York State Library. 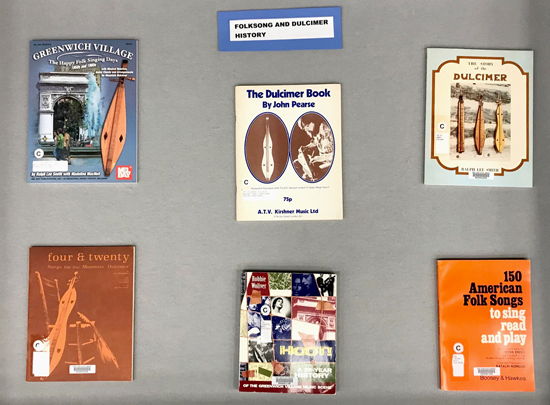 These include books of dulcimer music, books on dulcimer building and books on folk music throughout the world. 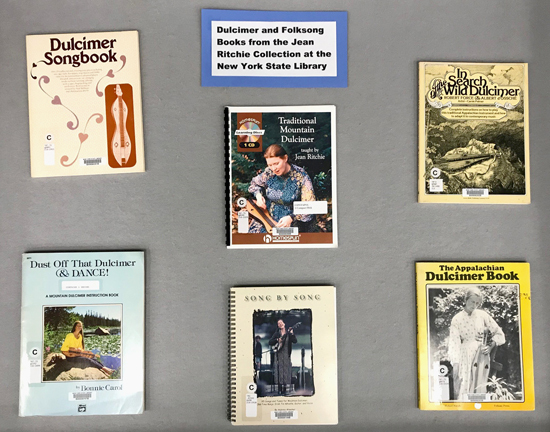 Jean Ritchie (pictured on the cover of the center book) was an American folk music singer, songwriter, and Appalachian dulcimer player. Her career formed a bridge between the traditional and modern forms of folk music. Jean was part of the Greenwich Village folk music revival, described in Greenwich Village: The Happy Folk Singing Days, 1950s and 1960s by Ralph Lee Smith (top left). The State Library’s collection includes many books of music including books on Irish, Scottish, Canadian, and other types of folk music. Children's songs and nursery rhymes are also included. While the State Library has a sheet music collection, the items in this exhibit are all in book format.